1) I totally fail at Blue Fridays because I don’t own anything that is work appropriate and blue. (What I do own looks great on the dancefloor instead!) I need some fun earrings or something. (I don’t count blue jeans…) Instead, I’m wearing pink. 3) Stuff like this causes me to see red. Last night I was experiencing some post-dinner highs, which was bizarre because I also spent nearly two hours in dance class. My corrections were issued at around 8:30 pm… and an additional one soon after because the pump said it wasn’t enough. About a half hour later, I tested at got a 113 mg/dl reading. Huh – that’s funny. I was 209 about 20 minutes ago and only gave a half unit correction. My insulin never works that quickly. For shits and giggles, I tested again. 175 mg/dl. What?! <sigh> Third times a charm, right? 177 mg/dl. Clearly I was still elevated (and needed another correction still.) Silly test strips. Yeah – I made these based off of the Pinterest demo. They were for the family birthdays last weekend. I figure they are approximately 35 grams of carbs. I didn’t have one though. Super easy to make so long as you don’t pay too much attention to the chemicals used in… well, everything. 5) I can’t believe September is in a week and some change. But – I’m really anxious for these super, sunny blue skies (or smoky gray skies, depending on the nearby forest fire) to be replaced by the cool, crisp air and orange crunchy leaves of fall. Chances are, I won’t really see that until late September. But one can hope. Half of my wardrobe is based around sweaters and long sleeves… so, I’m really getting antsy. 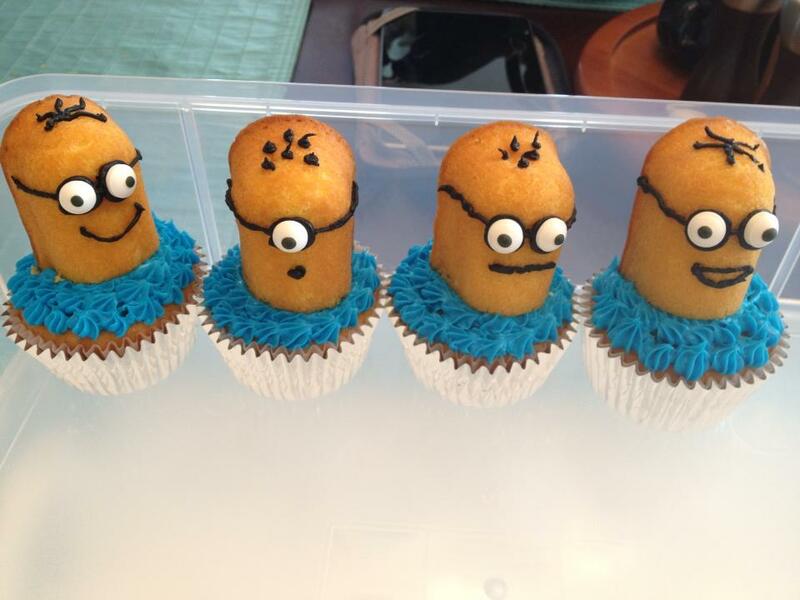 Oh my goodness-those cupcakes are SO cute! I think I’m going to have to make them too! Do you have the link to the Pinterest demo handy?